The adolescent period is one of the most important periods in the life of a human being. This is the period when people start understanding certain important things in their life. The adolescence starts from the age of 13 and is extended till the age of 19. Lots of development starts taking place in the mind as well as the body of the child during this time. So it is the duty of every parent to take good care of their child at this point in time. This is the time which can make or destroy the life of the child. These are the years when the child starts maturing. Victorian era adolescence was something different. During the Victorian period, the adults were given much more importance than the children. In most of the cases, the children went to boarding schools and had to live without their parents. Not many girls were found to study or go to school. The people in the Victorian era were not much concerned about the adolescence of their children. They always wanted their children to grow up quickly so that they can start earning and become an important part of the society. But only the affluent people could send their children to the boarding schools. 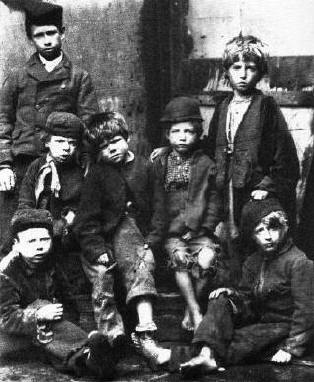 The children of the poor used to work as child labors and wasted their adolescence in this way. There were some who wanted to make sure that the children got a good education and the kind of support that is required during this period. When the Victorian era was coming towards the end, there were certain changes made in the society. At that point of time, the system of free public education started and it was a chance for every child to get educated. The system, as well as the concept of education, started changing so that these adolescent kids could cope themselves well with the situation. These children were helped to get matured so that they learned how to handle tough situations. These children were also encouraged to play games. With the help of these games they could learn some of the best lessons of the adolescent period. The kind of treatment kids used to get also started changing with time.